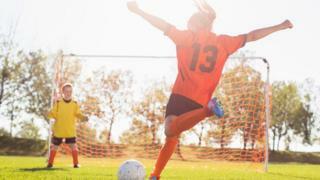 Darcie, 13, from Cwmbran in Torfaen has been playing football since she was eight. Children’s Commissioner for Wales said gender stereotyping was “depressing”. Dr Nalda Wainwright, the director of the Welsh Institute of Physical Literacy, said the reliance on “traditional sports” in school is a hangover from the post-war period with the introduction of the 1944 Education Act.